For the business/leisure traveller, Luxury City Royal provides its guests with a peaceful, serene and comfortable environment. It offers guests the best of hospitality services they can ever wish for coupled with accommodations that are designed to make guests have a memorable and exciting experience. It is situated in 84b, Aba-Owerri Road, Aba in Abia State. Guests of Luxury City Royal say that its rooms are well equipped and beautifully designed. 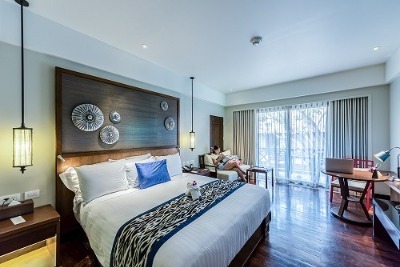 The categories of rooms at Luxury City Royal include: Executive Luxury Room, Diplomatic Luxury Room, Orthopedic Luxury Room, Business Suite and Royale Suite. Each room contains a fridge, a flat screen cable TV, a king-size bed, a mirror, air conditioning units, an en-suite bathroom and sofas. Luxury City Royal provided luxury facilities to ease guests stay while at the hotel. Facilities such as free Wi-Fi access, a banquet hall, a meeting room, luggage storage, a salon, a fitness centre, a swimming pool, a conferencing facility, a business centre, a restaurant, a gift shop, a lounge/bar and a gym. Its conferencing facilities are available for hire when in need of a place for corporate gatherings. Guests who love to work out should check out the state-of-art gym that Luxury City Royal has on-site. Guests can also have hair beauty services at the hair salon to keep looking beautiful and well groomed. Its banquet hall can accommodate large gatherings; Luxury City Royal has made provisions for free Wi-Fi access. Souvenirs can be gotten for loved ones at the gift shop on-site. Also, on request, its restaurant serves an array of mouthwatering dishes to guests. The bar/lounge is equipped with an array of cocktails and fine wines for guests to enjoy. Guests need not bother about transport as there is a car hire service available on request. Laundry/dry cleaning services are also available for guests on request. Effective security measures have also been put in place and there is round-the-clock power supply. Children: Kids not older than 12 years can stay for free. Q: Does Luxury City Royal have a fitness centre? A: There is an on-site fitness centre for fitness enthusiasts. Q: Is there free Wi-Fi access at Luxury City Royal? A: Free Wi-Fi access is available in every room. Q: Is there a car shuttle service at Luxury City Royal? A: On request, a car hire service will be provided. Q: Are babies allowed at Luxury City Royal? A: Only kids not older than 12 can stay for free. Q: Is there a TV with international channels at Luxury City Royal? A: Every TV is fitted with a cable where you can watch both local and foreign channels. Luxury City Royal is a budget hotel in Aba, Abia. The impression I got was nice. It's just moment since I checked in but I am liking the whole aura of the hotel albeit it's somewhat of a budget type. I hope the remainder of my stay at the hotel remains awesome. My stay at the hotel was just fair. The hotel was clean and beautiful. There was water and power supply throughout my stay at the hotel and they have good staff but, there was no internet connection and the security needs to be worked on for the protection of life and property. Good but can be better. The staff were considerate and helpful because the first room I checked in to was in a bad state that I had to request for another room and they were willing to help me change it. The room I eventually stayed in was a bit okay but can be better. As such I think the rooms need to be refurbished and well equipped. My stay at the hotel was not satisfactory. The room was not spacious, the toilet and bathroom were also very small and unequipped. I demanded for a towel from the staff as there was none in the bathroom. The staff never provided the towel till I checked out. It was not a nice experience. My stay at the hotel was not an enjoyable one. The room was quite perfect for the rate and it was nicely furnished. The staff were friendly and helpful. But the noise from the club house of the hotel ruined my stay. The noise was unpleasant and unbearable, I could not sleep at night. Have nice pictures of Luxury City Royal?